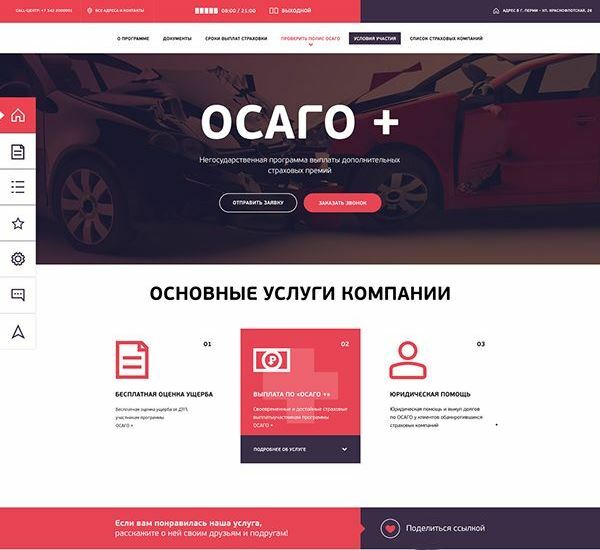 Creating a great web design for a digital agency or a service website is usually a matter of a good color choice and layout arrangement.These ten examples of corporate web design will show you some of the most appealing and user-friendly sites and web templates that you can find online. Let’s see which websites have managed to make it to our top-ten list. 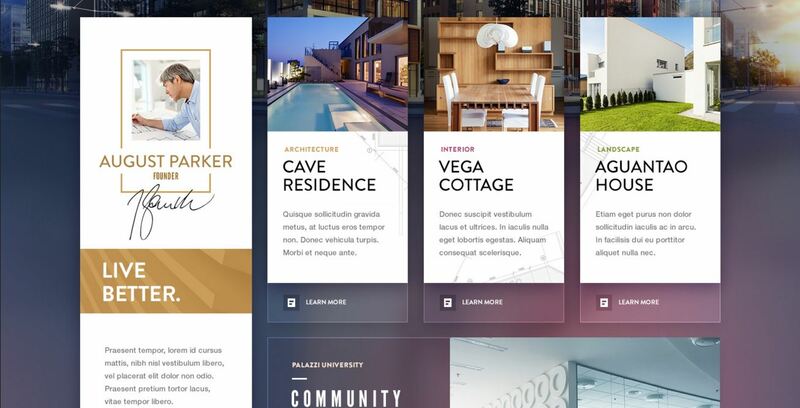 We hope these web design layout examples inspire you to create even better designs and show you what works and what not in the corporate web design world. The website of the 1&1 hosting company is a great example of a business website done right. Blue is a common choice for corporate web design because it’s usually related to the feeling of security and tranquillity. The website has a clean look, minimalist sans serif typography and a well-placed call-to-action in a contrasting color. 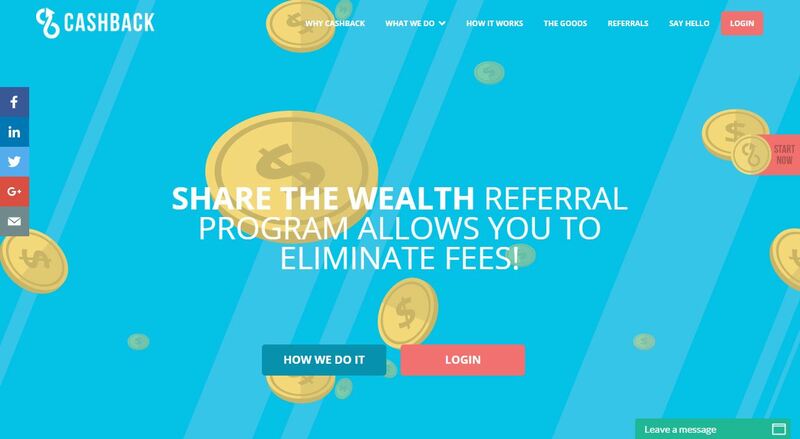 The web design of the Cashback corporation uses vibrant colors and beautiful illustrations to grab the viewers’ attention. The website has a flat design and modern look. The CTA buttons are elegantly highlighted with a pink color shade. 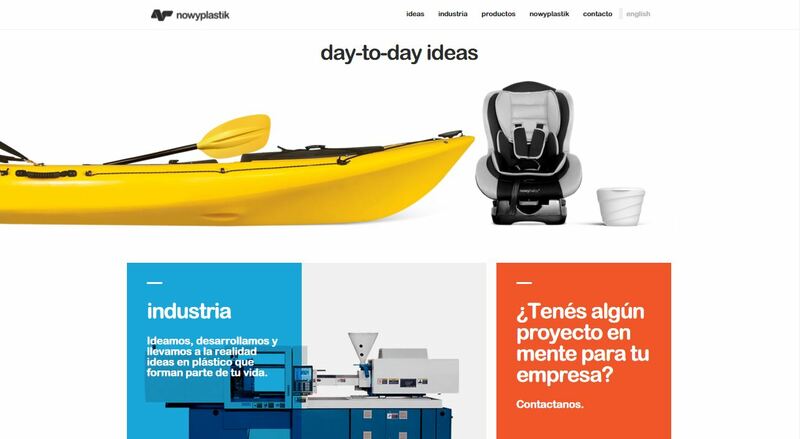 Nowy Plastic has an elegant design with a minimalist feel. The design incorporates metro style elements which are beautifully highlighted with a vibrant color palette. Each box plays the role of a category button and the most important sections are tinted in bright red and blue. 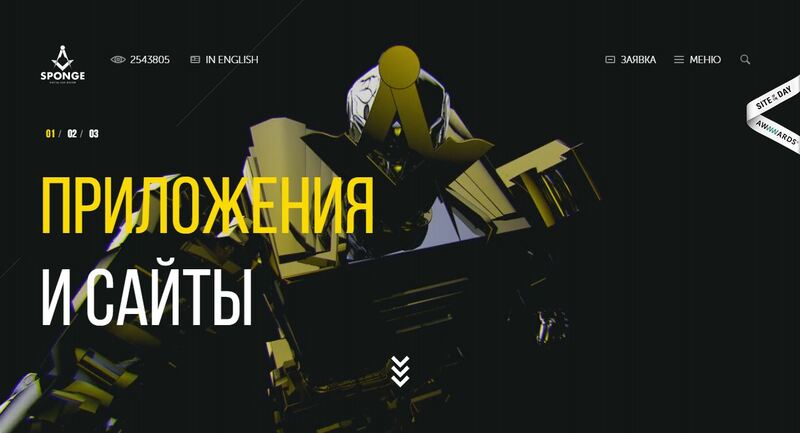 Sponge, a Ukranian design studio based in Odessa and New Jersey, is a proud owner of this stunning website. The web design features parallax elements, video sliders, and modern metro design. Sponge’s website has been chosen as Site Of The Day by Awwwards and is a beautiful example of a business website with a dark background. 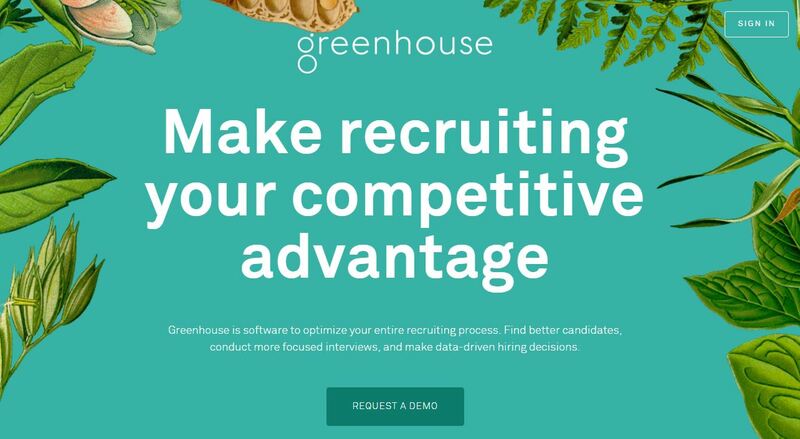 Greenhouse has a gorgeous website that one can instantly fall in love with. The design has incorporated a beautiful set of vintage floral illustrations that remind of the company’s name. The background color choice is a combination of green and blue which give off a feeling of balance, acceptance, honesty and calmness. Enax is a one-page, multipurpose parallax website theme that has a minimalist look and uses metro design style. 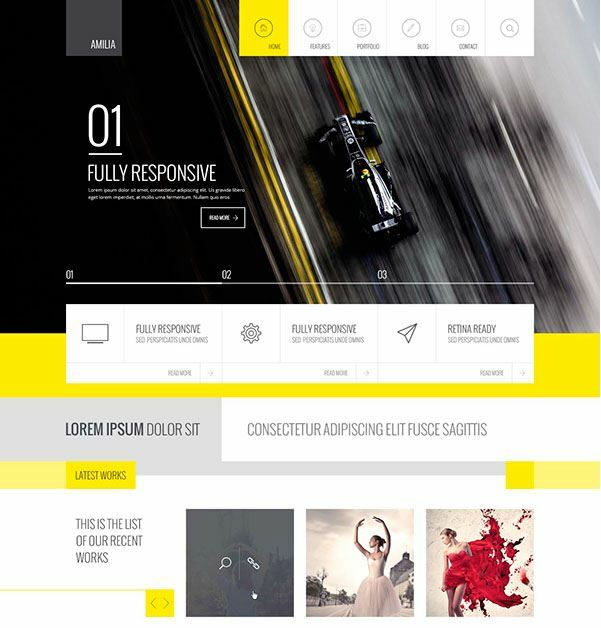 The theme has a clean design and uses yellow and black as main colors. These colors, which are related to power, logic, and luxury, give the design an industrial, yet, elegant look. The one-page website design of Tomasa Field makes an impact with a beautiful header. The interactive HERO image goes well with the Call-To-Action and speaks of creativity and inventiveness – required qualities for every web designer and developer. 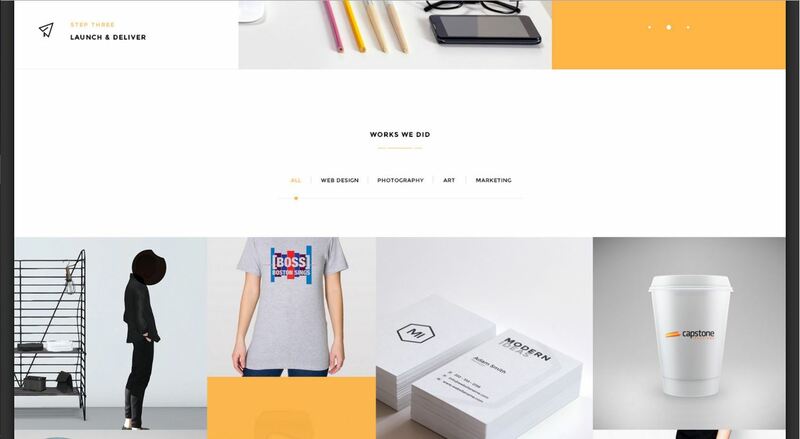 A gorgeous multipurpose web template delivered in a PSD format. The design uses condensed, clean typography and minimalist design elements. The menu and buttons use sleek icons which beautifully highlight the CTA. Osago has an elegant design which uses pink and purple as main colors. The color palette of the website is a representation of the feelings of calmness, stability, and creativeness. The design uses simple icons and sleek typography, and the side menu makes the website easy to navigate. Hersog is an architecture bureau that has a gorgeous website design which is worth a place on our top ten list. It has a metro style and an elegantly blurred background. The purple shades and gold elements add a royal and luxury look. The website presents an elegant design and a sleek navigation which is easy to use.